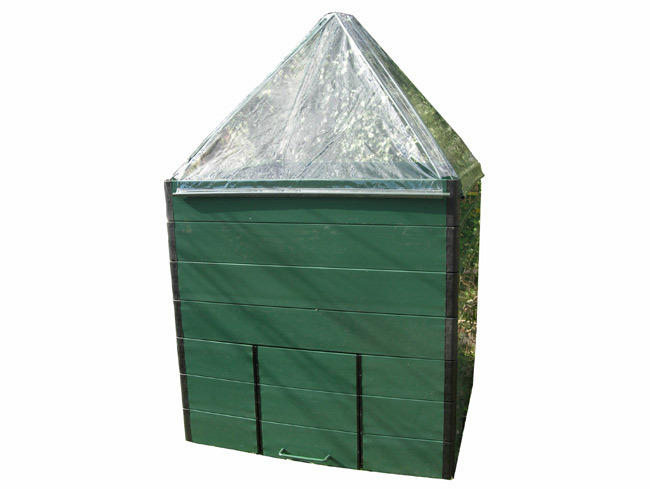 This sturdy compost bin with access door and lid is easily assembled. 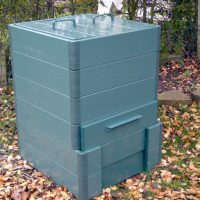 Our Link a bord compost bin maintains a constant temperature due to its double-skinned construction. With a capacity of approximatley 1000 litres it is the ideal size to give the correct mulching temperature. It is available in green, black, blue, terra-cotta and brown. NB. 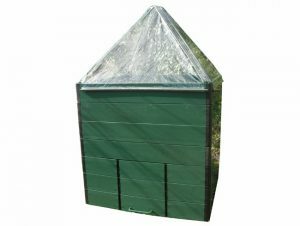 The compost bin shown is not supplied with the pyramid propagator, which is available as a separate option which will fit on either our compost bin or one metre square raised bed. A simple yet effective way to protect and insulate young plants.